I have been collecting Mauser 201’s since 2010 and since then I have owned a number of these excellent rifles, (see Mauser 201 section) however in 2013 I felt it was time to broaden my horizons somewhat and expand into some of Mauser's other rimfire designs. These technical notes are as a result of that decision and describes the various models, production variations and performance criteria that I have identified to date. I am not maybe what some people would call a serious collector. I only collect rifles that I can shoot and restore. Finding a rifle that has a taken a pounding over the years and leaving it in a battered condition, full of rust and debris, fills me with dread. Therefore it must be restored to its original condition retaining as many historical markings as possible and to maximise it operating and safe performance. The rimfire rifles below represent some eighty years of Mauser manufacturing from the 1930’s up until Mauser discontinued rimfire manufacturing in the 1990’s. Collector Grade Publications produce an excellent publication “Mauser Smallbores, sporting, target & training rifles by Jon Speed for those readers who require more detailed information. This is the first time I have collected rifles representing a particular manufacturer over a specific time scale (1920 - 1990) and it is interesting to note that you can identify the manufacturers design philosophy over that period and how that philosophy reflects into the market place itself.. The Ms420 was a sophisticated design that was possibly leading edge technology in the 1920’s but by the 1930’s that design had been replaced by a more modest rifle that was equally effective and capable but could be produced in greater volumes and at a fraction of the price. The late 30’s and the war years reflect the politics and military thinking of the period with the production of the military style DSM 34 and later the KKW for training, the high quality rifles of the 30’s now being superseded by rifles whose quality is more suitable for the military. In 1954 the company was reformed but it was not until the 1980’s and with Mausers acquisition of Voere that we see the introduction of the Mauser 105 and 107, which were budget rimfire rifles, targeting the opposite end of the market and and almost a complete reversal of the high quality rifle philosophy from the 1930’s. 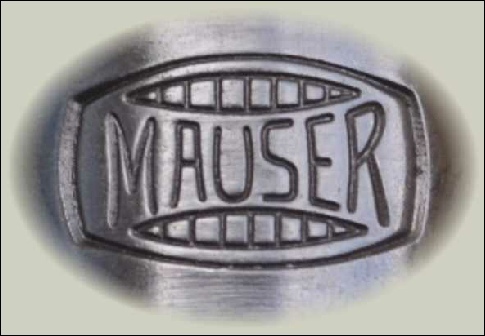 In my opinion this was an unwise decision as it took Mauser into the mass markets which I believe it was unsuitable for and therefore was unable to compete successfully against the mass manufacturers such as CZ and Ruger. The introduction of the Mauser 201 was a return to the high quality rifles of the 1930’s, however it may have been “to little, too late” as Mauser left the rimfire market with the Mauser 201 and now focus’s on high end, high quality full bore rifles.